TOPAZ HORIZON: Win P5,000 from Meralco! Help public schools, too! Win P5,000 from Meralco! Help public schools, too! Yes! Meralco is giving away money! And all you have to do is submit photos of your brightly Christmas lit home or of any of the Meralco Liwanag Parks all over Luzon! I always like to do sponsored posts for Meralco because I literally owe my life to them. My Mama worked at Meralco all her life and we all enjoyed the amazing employee benefits. Even now, she's four years dead, but my Papa still gets survivor's pension. So ang laking tulong talaga to us. My sponsored posts are my way of giving back. And now, Meralco is again giving back to their customers with their Maliwanag ang Pasko program. 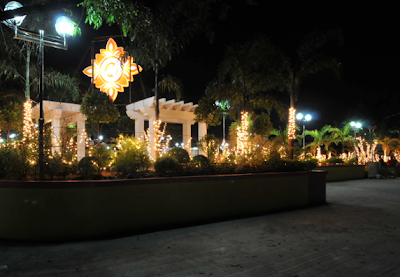 Every Christmas, Meralco lights up their Liwanag Parks to celebrate the season. This year, the Department of Tourism (DoT) joins Meralco as they create more Liwanag Parks, energize island schools, and give away P5,000 every day to consumers! Why create more Liwanag Parks? The Philippines celebrates Christmas like no other country in the world. CNN even featured our merry-making! The DoT aims to create more Liwanag Parks so that we'll have more reasons to be a tourist destination during the holidays. 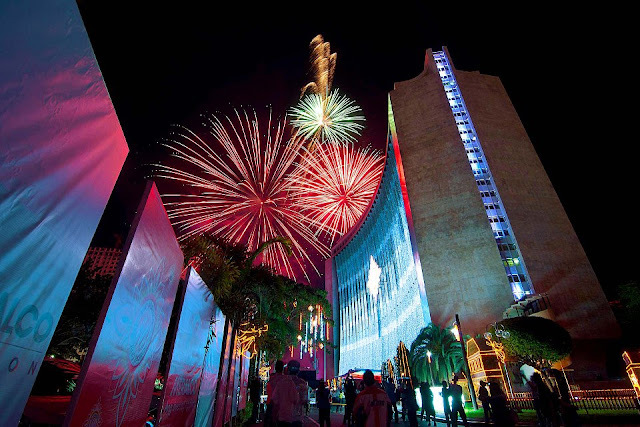 Meralco and DoT will give local government units a Liwanag Park starter kit of a giant parol and 500 boxes of Christmas lights. Then bahala na si mayor gumawa ng park. The pinaka-bongga park receives prizes from Meralco and DoT which hopefully the LGU will use for the betterment of their community. How do I energize island schools? 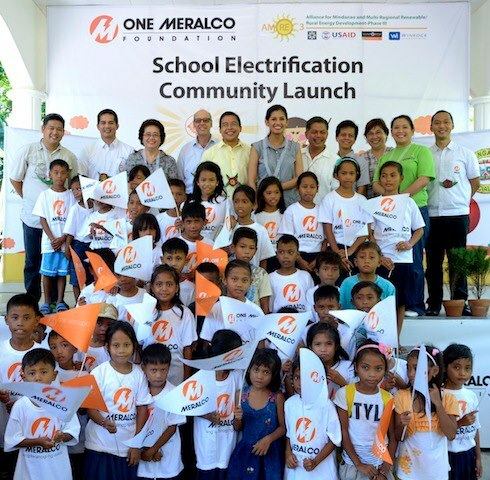 The One Meralco Foundation (OMF) provides electricity to public schools. For example, just this past May, OMF installed solar panels in six schools in Isla Verde, Batangas. The schools also received LCD TVs, DVD players, sound systems, DVDs of educational programs plus school uniforms and school supplies. Now here's where you come in. OMF pledged to help communities through the photos you submit on their Facebook's Maliwanag ang Pasko app. How do I win P5,000? Just by taking photos of your home decorated with Christmas lights or of any of the Liwanag Parks and uploading these pics on Meralco's Facebook page. Every day from December 1-22, two people will win P5,000 each! Good luck! 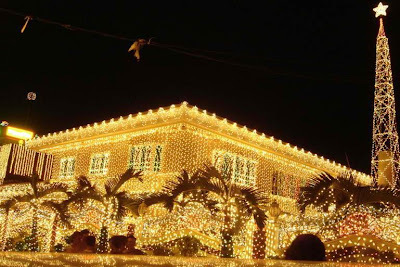 I wish you a maliwanag na Pasko!